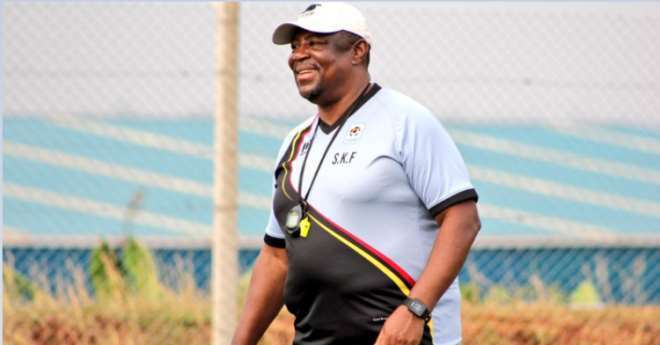 Paa Kwesi Fabin has begun work as the coach of the Uganda U-17 national team following his appointment last week. The former Inter Allies trainer met the team for the first time since his appointment and took them through some training sessions with some member of the Uganda FA present to observe him. Fabin has signed a year contract with the club and has been tasked to ‘do well’ at the U-17 AFCON to be hosted by Tanzania next month. He guided Ghana to win silver at the U-17 AFCON in Gabon in 2017 and finished in the last eight at the FIFA World Cup in India. The former Asante Kotoko trainer has also been tasked to design a strategy for youth football development as well as being in charge of the juvenile department of the Uganda FA. Uganda are housed in Group A with host nation Tanzania as well as WAFU Zone B champions Nigeria and Angola. The tournament starts from 14th to 28th of April.